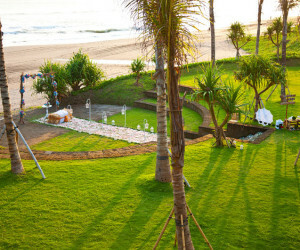 Sophisticated Seminyak and Canguu are a combination of modern style resorts with trendy places to eat and drink. 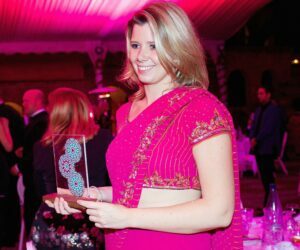 The area has a great selection of elegant hotels which are particularly suited to young couples who like to get out and about during a beach holiday. Canggu is the funky, hipster side of Bali that you may not expect to find: beautiful, laid-back, and just removed enough to be sprinkled with a handful of really cool spots. Though it’s home to a small contingent of expats and has its share of surf shops, veg cafes, and beach bars, the five-mile stretch of coastal villages that make up the district still maintain plenty of old school charm. 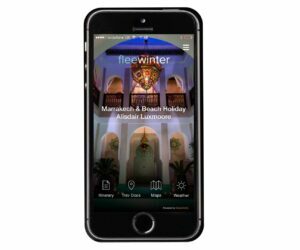 It’s a place where surf beaches meet pastoral hills, and the of frangipani incense, urban vapours, and burning rice fields mingle in the narrow streets. It’s a place where toffee-coloured cows laze at the edge of the road and farmers in traditional bamboo hats pause to wave and smile as you pass. One of the newest go-to towns for travel on Bali, Canggu is rapidly becoming one of the trendiest hideaways in paradise. With the same artsy charm as Ubud and hip dining scene as Seminyak, only with a quarter of the crowds, we love this area for many reasons and highly recommend staying for at least a couple days. WSC005 - The Colony Hotel Bali is located in the heart of Seminyak and within walking distance to all the fun and leading places that creates your perfect Bali boutique hotel vacation. WCP002 - Luxurious villas nestled in tropical gardens and extensive grounds just 15 minutes from the cool and hipster beach town of Canggu. 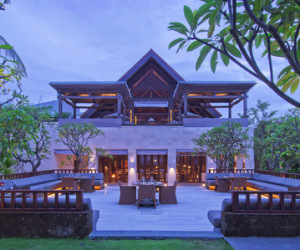 WSA010 - Located in an exclusive villa enclave just outside Cemagi with views of the ocean, rice paddy and distant volcanoes, Ambalama brings a new interpretation to discreet, relaxed luxury villa hospitality. 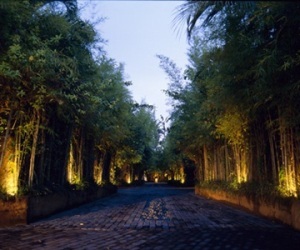 WSA001 - is a unique new group of 11 luxuriously-appointed villas in the heart of Seminyak, a wooded space surrounded by lovely trees. 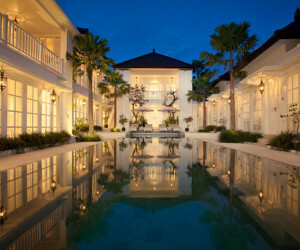 WCT001 - The hotel is designed to bring back to life the romantic, forgotten tales of Java and Bali. 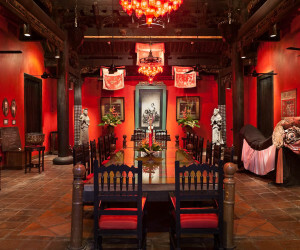 The hotel, owned by an Indonesian who has been collecting antiques since the early 1960s, is home to one of the largest original art collections in Southeast Asia. 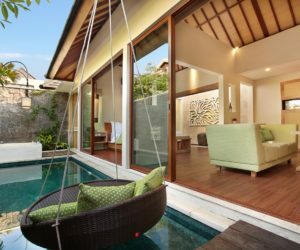 WSK015 - A 5-minute drive from stylish Seminyak and its array of shops, Legian Kriyamaha Villa boasts a spa and luxurious villas with a private pool. 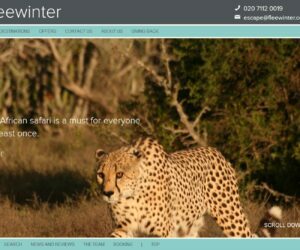 WSV001 - The exclusive accommodations offer privacy and luxury with all the conveniences of a full service hotel. Every Villa has its own private swimming pool. 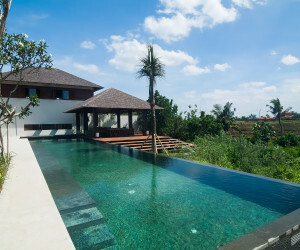 WSA020 - Aleva Villa has 8 villas with Private Jetted Pool. 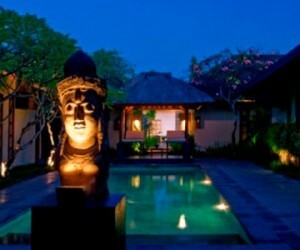 Guests enjoy intimately private and luxurious villa property. WSU001 - Experience privacy and luxury, “just the way you like it” at the newly completed Uma Sapna boutique villas in Bali. 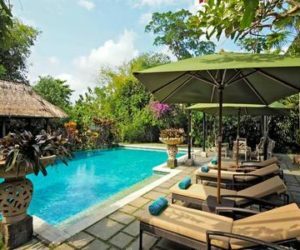 WSA021 - Aksari Villa offers 10 units of one bedroom villa with private pool and jacuzzi, Balinese hospitality and romantic experience. 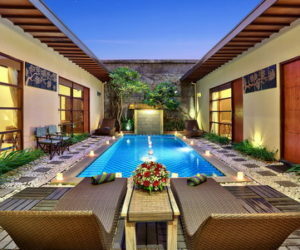 WSI005 - Ini Vie Villa has 10 villas with private pool and Jacuzzi. 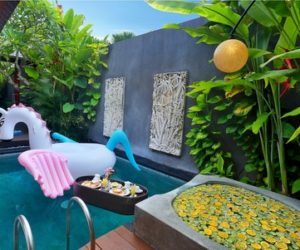 All of the villas have private swimming pool, Jacuzzi, kitchenette, free Wi-Fi internet connection and lush tropical garden. Situated in the heart of vibrant Seminyak, The Ahimsa, remains, to this day one of the most sought after offerings in boutique accommodation in Bali. WSL010 - Lacasa Villa is a lavish boutique family villa which offers Two Bedroom and Three Bedrooms Villa with Private Pool. 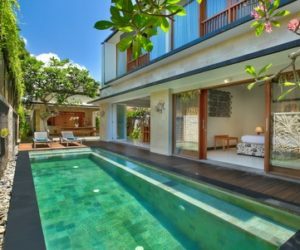 WSV003 - The Vie Villa is a stylish affordable villa located in the border of Seminyak and Legian, offering one bedroom pool villas, a quiet yet stylish area, a more sophisticated atmosphere than the hustle and bustle of nearby Kuta.